Both of these signs want the good things in life. But Leo’s taste for drama may be too much for peace-loving Taurus. And their Fixed nature ensures that they will clash (without backing down) on more than one occasion. Sun in Leo’s goal is to achieve the best. He has a natural sense of entitlement, and he’ll want a partner who feels the same (or at least supports him in his goals). He approaches most things with a flourish, because “the best” isn’t enough; he needs fun, drama and attention to go along with it. He’ll shower his lover with romantic gestures and unshakable love, but she’ll need to feed him twice as much appreciation. When Sun in Leo feels ignored, it’s not a pretty sight. His Shadow side can manifest as a foot-stomping Drama Queen who will do almost anything to capture his partner’s attention. Moon in Taurus needs comfort and stability. She’s not interested in anything fancy; give her good food, plenty of lingering hugs (from a reliable partner) and she’ll be happy. But she won’t set up home with just anyone; her partner must be able to appreciate the sensual comforts, and he must earn her trust. Fighting and drama is a turnoff for this placid Moon. Her Shadow side can emerge when she stubbornly clings to her routine (including unhealthy overindulgence) and buries her head in the sand to avoid fights. But if her lover pushes her too far, Moon in Taurus’ simmering resentments will boil over. These two will initially bond on their shared love of the good life. Sun in Leo will bring the goodies, Moon in Taurus will appreciate them to the max, and Leo will bask in her appreciation. But Taurus will quickly feel overwhelmed and annoyed by Sun in Leo’s hunger for excitement. He’ll want to go out and celebrate (everything) and she’ll want to curl up by the fire. 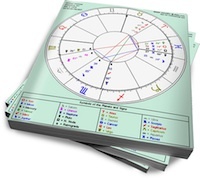 Ferocious deadlocks can ensue as Leo roars to get a reaction, and Moon in Taurus (at first) stoically ignores him. Eventually she’ll lose her temper, but resolution will be difficult because neither of these signs are good at compromise. In order for this relationship to work, they will each have to take a step away from their stubbornly defended corners. Sun in Leo will have to accept that its not always about him, and Moon in Taurus will have to step outside her comfort zone (on occasion).